Gary E. Lane, M.D., F.A.C.S. Pueblo Vein Center Providers Gary E. Lane, M.D., F.A.C.S. Gary E. Lane, MD, FACS, at Pueblo Vein Center in Pueblo, Colorado, has dedicated much of his medical career, since 1991, to helping patients with vein and wound problems. 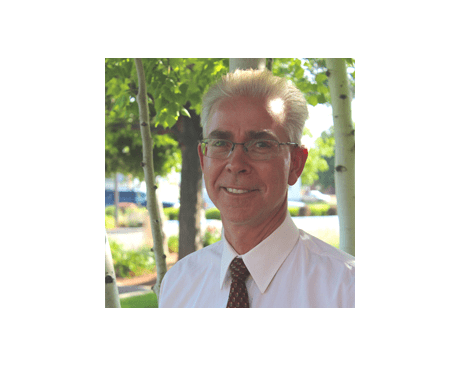 Early in his time at Pueblo’s wound care centers, Dr. Lane worked with many patients struggling with varicose vein complications, like nonhealing venous stasis ulcers. When minimally invasive technology proved to be effective, Dr. Lane quickly adopted these treatments back when they were performed in the hospital operating room. Not long after, Dr. Lane founded the Pueblo Vein Center at Corwin Clinic Surgical, PC in 2004 to move these procedures out of the hospital to a more comfortable office setting. The mission of the Pueblo Vein Center is to give each patient individualized and compassionate care for their vein problems. He welcomes patients with all types of vein conditions, as he treats the full spectrum, from the largest and most diseased veins to the smallest and most superficial veins. After receiving his bachelor’s degree in biomedical and electrical engineering from the University of Southern California in Los Angeles, Dr. Lane went on to graduate from Rosalind Franklin University of Health Sciences/Chicago Medical School in North Chicago, Illinois. From there, he completed his general surgery residency at Michigan State University College of Human Medicine at Saginaw. Dr. Lane enjoys sharing his practice with his wife, Renee Lane, MS, RN, ANP. Together they have access to multiple methods to treat vein disease, including endovenous laser ablation with the AngioDynamics VenaCure EVLT® system, radio-frequency vein treatment, hook phlebectomy, and various sclerotherapy options.